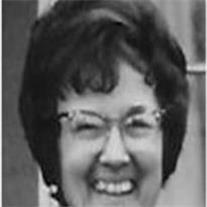 Emma DeAlba, 94, passed away March 29, 2011 in Mesa, Arizona. Funeral services are Monday April, 4, 2011 at 10 AM preceded by a visitation at 9 AM at the LDS Lyn Rae Ward, 1266 S. 32nd Street in Mesa. Interment will be in Redlands, CA. Arrangements by Bunker’s Garden Chapel.